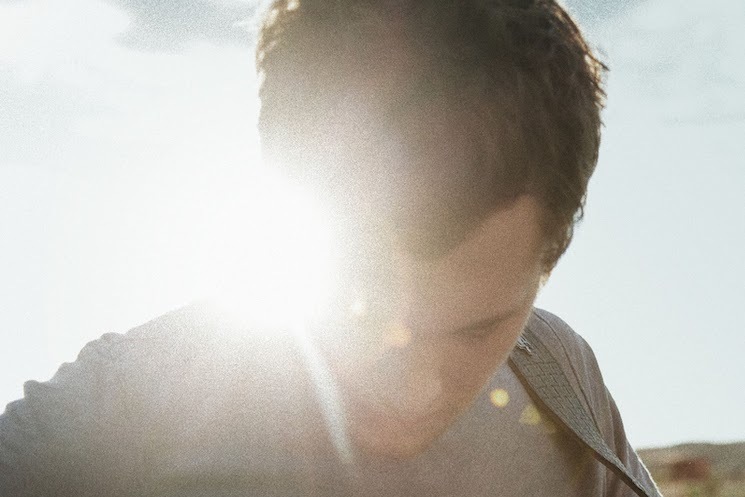 “Tell Me a Story,” number six on our top seven Phillip Phillips‘ songs so far, is a song about wonder, hope and love. Placed half-way through The World from the Side of The Moon, “Tell Me a Story” boldly introduces a genre of experimental, less traditional songs within Phillip’s catalogue, a category he has continued to cultivate in all his subsequent work. “Tell Me a Story,” “Thicket,” “Sand Castles,” these are all songs where Phillip moves far away from the traditional pop song structure to create unique, hard to define pieces that demand our attention and fully-open minds and ears. “Tell Me a Story” was the first collaboration between Phillip and David Ryan Harris, a song-writer, singer and guitarist of exquisite sensibility and depth. After “Tell Me a Story,” this collaboration extended into Phillip’s next two albums, with Harris co-writing in both “Alive Again” on Behind the Light and “I Dare You” on Collateral. Structurally, the song plays with our expectations of the traditional verse-chorus-verse-chorus structure, not so much in breaking this pattern as in each element of the song seeming to be slightly off: verses are long, stretched out, creating from the very first lyrics a sense of wonder and mystery, first grabbing our attention (“Tell you a story and it starts with time”) and then pulling us along its own, unique ride. And then when the chorus comes (“Hope is just a ray of what everyone should see”) it is unusual in its length and the irregular number of syllables within each line of the lyrics themselves. Together, they create a loose, circular feeling that requires us to let go, first, of the musical expectation created by a traditional song structure, and second, of the sense of familiarity that would allow us to predict where this song and this melody will take us. Further, by letting go, we are asked to put our trust on Phillip and let ourselves be told a story where he alone beholds the narrative, the twists and turns that it will take. And as a listener, once we let all our expectations go and let the magic of “Tell Me a Story” unfold, the aesthetic and emotional rewards are huge-is the pleasure of being vulnerable and letting ourselves be surprised by the beauty of others, the wonder of others, the wonders of this world. “Tell Me a Story” is an important song in Phillip’s catalogue because it demonstrated the ambition in the writing, the willingness to push in different directions, the desire to tell a story as it needed to be told and not be forced into the confines of any particular genre of song. It is also important in that it introduced many of the themes that Phillip would touch in many of his later songs: a love that is universal (no age, no gender, no particular relationship); an uplifting message of courage and hope; the constant search for meaning in our lives. It is also, most poignantly, immersed in the natural world as so many of Phillip’s song are: The moon, the sun, the light all are metaphors for this pure declaration of love (“You are the sun that leads me, you are the moon that pulls me”). Not only are these some of Phillip’s most sweet, poetic lyrics, they evoke a world full of awe and beauty: it’s the stars shining brilliantly on a cold winter sky, the sweet scent of grass on a spring dawn, the warmth we feel when being told a story, a fire burning brightly on a cool summer night. If you are missing any of Phillip Phillip’s three albums, visit his official site to listen/purchase. And stay tuned on @PhillPhillcom to find out our next five top Phillip Phillips songs!